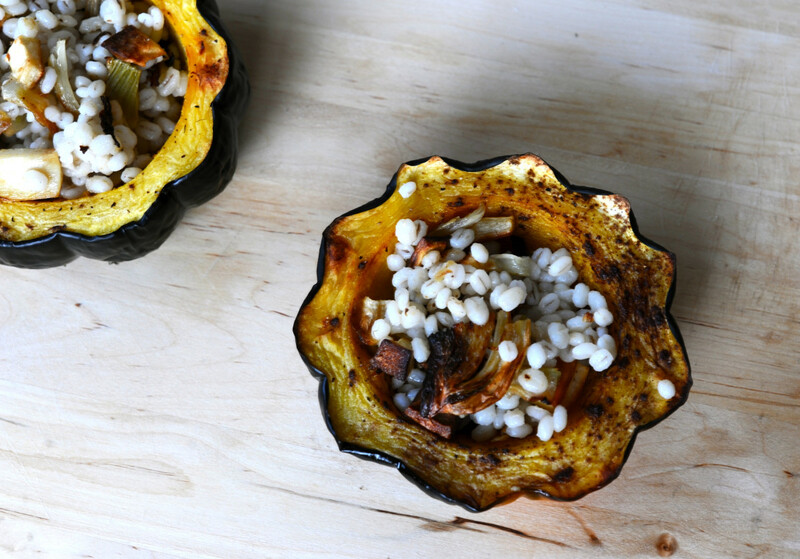 When the weather turns cold there’s nothing like a delicious roasted acorn squash for dinner. 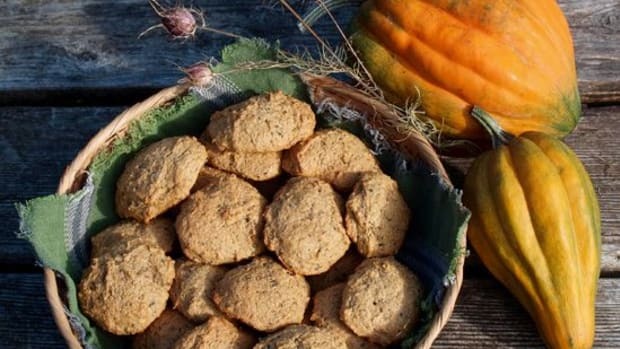 As fall quickly leaves us and winter settles in, markets fill with pretty orange, brown, green and yellow squashes. There are large butternut squashes, perfect for soups and yellow spaghetti squash to steam and serve like pasta. 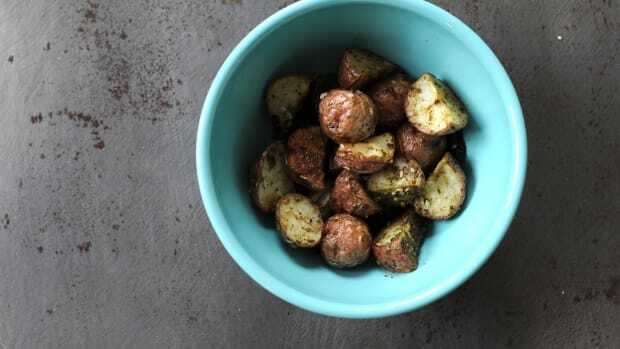 One of the easiest squashes to cook with is the smaller, dark green acorn squash. It’s easily sliced with a sharp knife and roasts quickly. 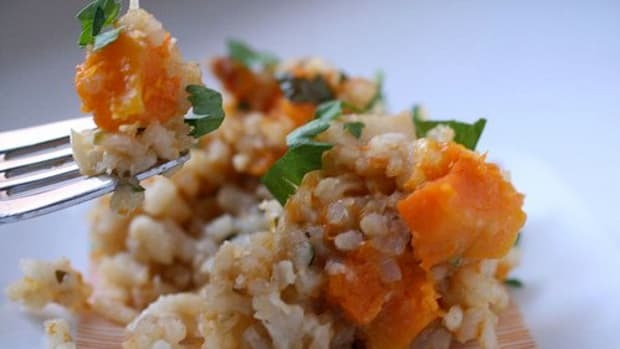 Impress your family or dinner guests by stuffing roasted acorn squash with a winter vegetable barley pilaf. Instruct your guests to cut off bite-sized pieces of the squash as they go. Barley is hearty and cooks relatively quickly. 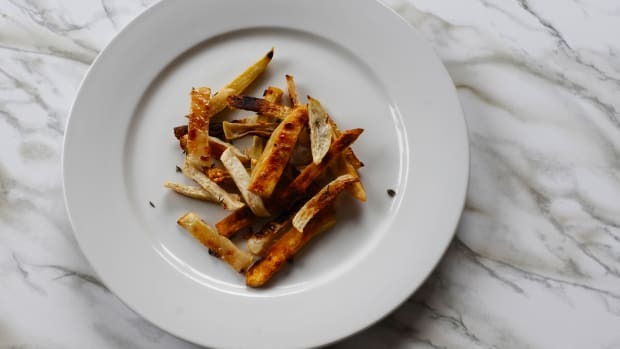 Save time by roasting the fennel and parsnips at the same time as the squash. 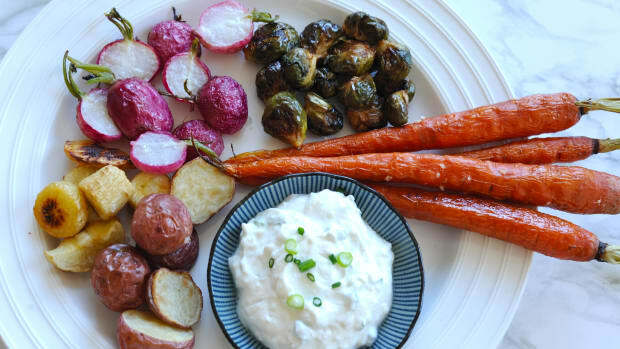 If fennel doesn’t appeal to you feel free to swap it out for another vegetable like chopped sweet potatoes or carrots. Preheat oven to 400 degrees Fahrenheit. Cut each acorn squash through the middle and slice off about ¼ of each end so the halves sit flat. 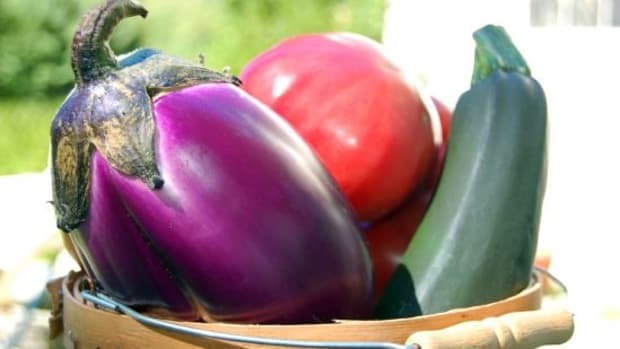 Scoop out the seeds and pulp and discard. 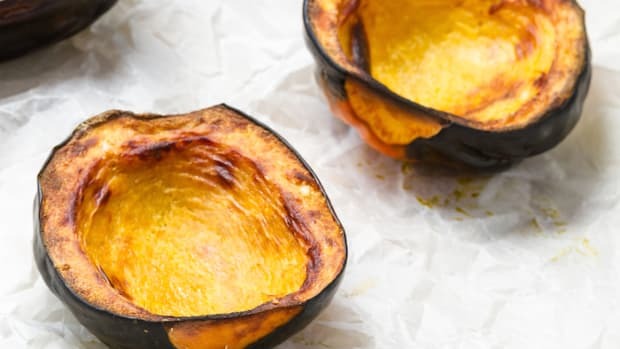 Coat the squash halves in olive oil and sprinkle with salt and allspice. 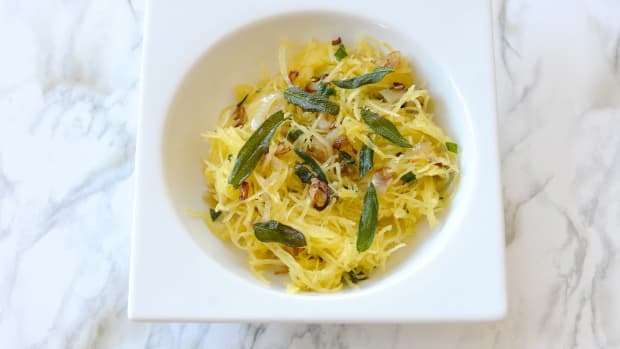 Slice the fennel into thin strips and toss with the parsnip pieces, 2 tablespoons olive oil and 1 teaspoon salt. Roast the squash halves upright on a baking sheet for 40 minutes or until the flesh just begins to burn. Use the same baking sheet or a second baking sheet to roast the fennel and parsnips at the same time. The fennel and parsnips will be done after about 20 minutes, so be sure to remove them first. Meanwhile, bring 2 ½ cups of salted water to a boil. Add the pearled barley, cover and simmer for 35 minutes. All the water should be absorbed, add more as necessary. Chop the roasted fennel into small pieces and mix into the barley, along with the parsnips, oregano and lemon zest. Add salt and pepper to taste. Make a quick balsamic dressing by whisking together 4 tablespoons of olive oil, 2 tablespoons of balsamic vinegar, ½ teaspoon sugar and 1 teaspoon mustard in a small bowl. 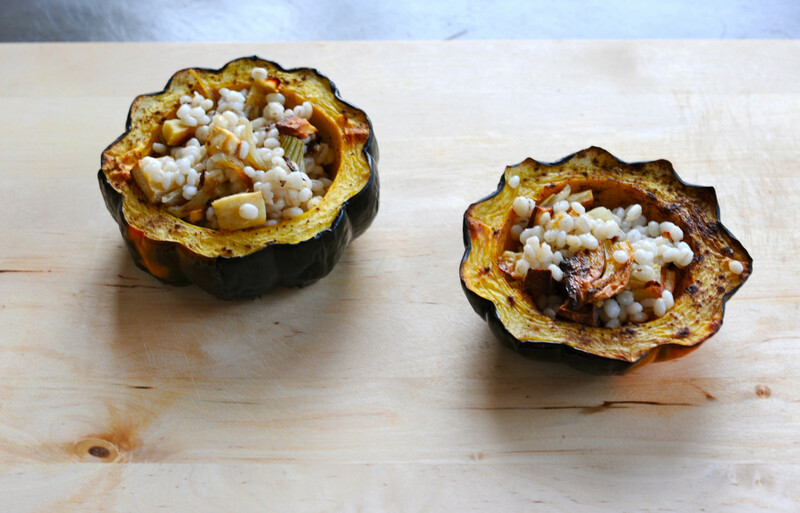 Spoon about ¾ cup of the barley mixture into each squash half, drizzle with the balsamic dressing and serve.